Last week, the Finance, Personnel and Audit Committee of the Milwaukee County Board, in the course of their duties in trying to bring some sense of sanity to Chris Abele's unbalanced and illegal budget, had to trim the overly generous salaries of some of Abele's department heads. Abele is outraged. This is going to “a massively detrimental impact,” he fumed to the newspaper. He also called me to complain: “To make these radical changes without consulting anyone in these departments is not the way to run a government,” he said. The 8-0 vote strongly suggests the full board will pass this by a veto-proof majority. The cuts will at the very least dismay staff and in the long term might make it harder for Milwaukee County to recruit and retain administrative staff. But I doubt whether voters will care. Politically speaking, once you make the argument that taxpayers are paying too much for the county board, you open the door for a similar argument about executive staff. What's would be funny about this if it weren't true is that Abele already never consults with people in the county, but rather passes on orders from the Greater Milwaukee Committee or their subsidiary, the Public Policy Forum. Murphy also brings up the specter of Kimberly Walker, the former head of Corp Counsel. He cites her of an example of how "mean" the County Board can be because they fired her. He forgets to mention she was failing at her duties, giving bad advice and was actually encouraging the commission of a crime by advising Abele on how to avoid open records requests. He also fails to mention that Bill Domina, the head of Corp Counsel under Scott Walker's term as county executive, did just fine in that job. The only thing that changed is the administrative side of the equation. Gee, could it really be that Abele who is the problem? Who'da thunk that? Cullen used salary comparisons between pay of three of the county administrators facing cuts with state officials holding similar job titles to justify the reductions. For example, Tyler's $142,100 pay exceeds state Administration Secretary Mike Huebsch's by more than $15,000, yet Huebsch oversees more than seven times as many employees and presides over a budget that dwarfs Tyler's. State Transportation Secretary Mark Gottlieb earns about $2,000 less than county Transportation Director Brian Dranzik, but commands a budget 17 times greater than Dranzik's. And State Health and Human Services Secretary Kitty Rhoades is paid about $5,000 more than county Health and Human Services Director Hector Colon, but oversees a budget 30 times greater than Colon's. That shows the county employees are overpaid, said Cullen. It should also be noted that Supervisor Cullen also noted that the front line county workers have also taken draconian cuts int he past three years, with some workers having more than 20% of their take home pay cut because of Abele's austerity. But to give Abele a fair shake, let's look at a couple of things. Abele boasts that they are "turning the county around" and "We're doing more, better, for less." 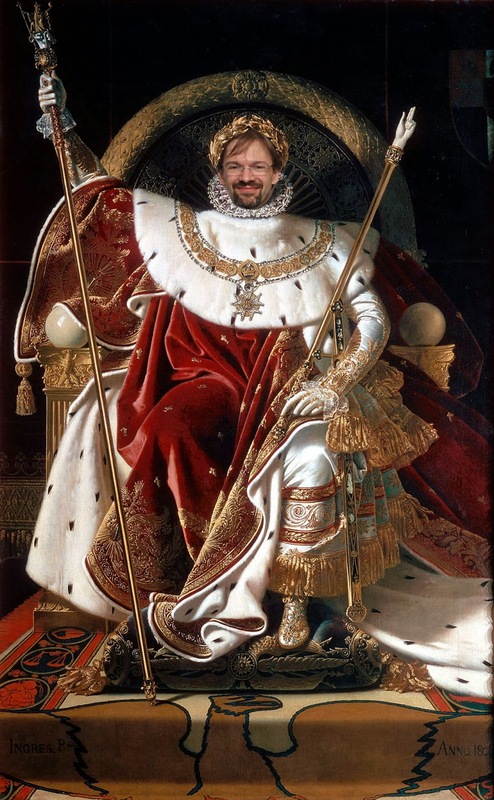 So far Abele's claims to fame is a downsizing at the airport, the privatization of mental health services (which already as reduced public safety and left at least one person permanently injured), bogging down the transit system in a number of lawsuits stemming from his sketchy backroom dealings and setting the courthouse on fire. Yet taxes have not gone down one penny. So what he is doing more or better for less can only be found in his own delusional thoughts. And that is just the top names. It should also be noted that Abele has yet to offer a reason for any of the firings, making one wonder if they were for cause or just because he was having another snit fit. It would take no great leap of logic to deduce that it is probably Abele's poor (if not completely missing) management and people skills that has led to such a high turnover in his office and the difficulties he is having in hiring new people unless he gives them such outrageously generous compensation. Given his difficulty in working with anyone and everyone and his dismal track record in just a couple of years, it might behoove Mr. Abele to take a good long hard look at himself - maybe even get some counseling or interpersonal skills coaching - and stop beclowning himself. We'd all be better off for it.